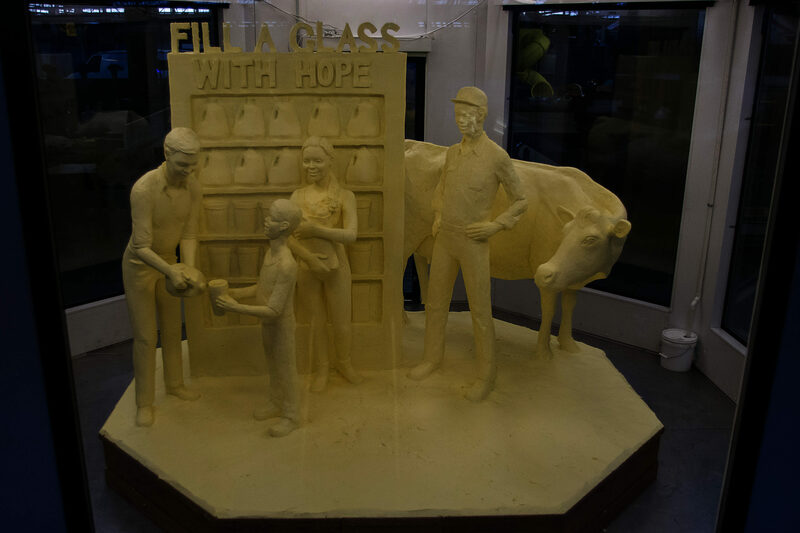 HARRISBURG, Pa. — A sculpture made from nearly 1,000 pounds of butter and showcasing a fundraising campaign for an innovative food bank milk program was unveiled Jan. 8 at the Pennsylvania Farm Show. The sculpture, sponsored by Mid-Atlantic Dairy Association and Pennsylvania Dairy Promotion Program, is the 25th displayed at the show. 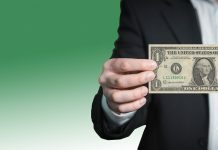 It features the first-of-its-kind milk distribution program implemented by the two organizations and the Pennsylvania Department of Agriculture in June 2014. The sculpture depicts a food bank worker pouring milk into a glass held by a little boy standing next to his mother. 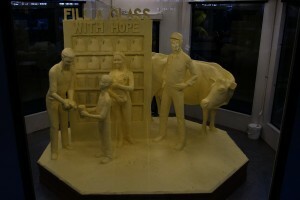 A dairy farmer and his cow watch, standing next to a refrigerated case filled with gallons of milk, the words “Fill a Glass with Hope” carved above. Joyce Bupp, a York County dairy farmer and member of the Mid-Atlantic Dairy Association and Pennsylvania Dairy Promotion Program boards of directors, called the butter sculpture a creative way to showcase the dairy industry, as well as an opportunity for the industry to support programs like hunger relief efforts. Through the public-private partnership, Pennsylvania dairy farmers ship milk to Harrisburg Dairies to be processed for the Central Pennsylvania Food Bank. The department facilitated the process of discounting milk for purchase by the food bank for its clients. 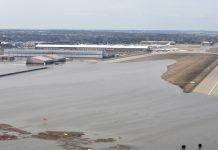 Pennsylvania Agriculture Secretary George Greig said the program has proven good for farmers, milk dealers, food banks, and for Pennsylvanians in need. 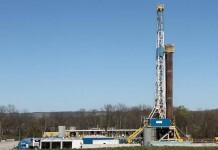 He added that dairy is the largest segment of Pennsylvania’s agriculture industry, with milk production alone contributing about 32 percent of all agricultural income at more than $2.3 billion. Greig unveiled the sculpture alongside Bupp, Pennsylvania State Dairy Princess Ashley Mohn, sculptor Jim Victor and food bank Executive Director Joe Arthur. Crafted by Victor and Marie Pelton of Conshohocken, Montgomery County, the butter sculpture creation begins in mid-December and is finished in time for the Farm Show. At the close of the show, the butter, donated by Land O’ Lakes in Carlisle, Cumberland County, will be given to a Juniata County dairy farm. The butter will be put through a digester and converted to about 65 kilowatt hours of electricity to help operate the farm and homes in the community. 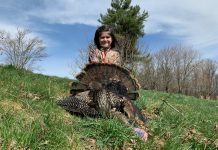 Through the Land O’Lakes Foundation, the company has donated more than 80,000 pounds of food to the Central Pennsylvania Food Bank. Mid-Atlantic Dairy Association and Pennsylvania Dairy Promotion Program are funded by dairy farmers to promote milk and dairy products. 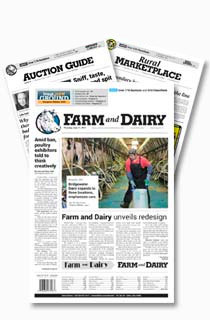 For more information, visit www.dairyspot.com.